Spin Palace Mobile Casino has quite a lot going for it. From its selection of 21 casino games, to its comprehensive device compatibility, this mobile casino gives players around the world a chance to take their favorite casino games on the road, and play them wherever they have coverage. Bonuses are great too, providing yet another incentive to try it out! To quote the Spin Palace Mobile website, “EVERY brand of mobile phone is supported”! This includes WAP-powered devices and the latest touch based smartphones like iPhone and Android phones. The software is very easy to install and use, and it really only takes a couple minutes of your time to get set up. 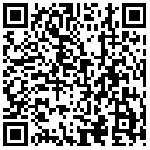 Once the mobile casino games are installed, you can access them anytime, anywhere! 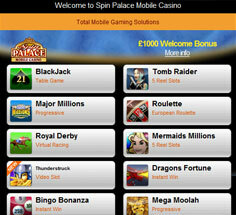 21 casino game titles are provided in the Spin Palace Mobile Casino Spin 3 software. 11 of these are available for iPhones. Players only download the ones they want, which helps keep the system flexible. The game list includes table and card games (blackjack, roulette, baccarat, 3 card poker), various mobile slots, video poker, keno, and scratch cards. The games look great, considering they are meant to be played on the phone. The controls are usually easy to figure out, but they might take a little getting used to. 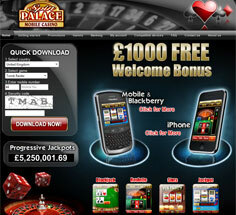 The decision-makers behind Spin Palace Mobile must be feeling very generous, because the bonuses there are huge! First of all, three deposit bonuses provide up to $375 in bonus cash. Then, every Sunday, all players get 100 free spins on Tomb Raider slot – a value of $520! Finally, a special loyalty bonus is given on your one-year anniversary with the casino: a 100% match up to $105. These total $1000 in bonus cash over your first year at the casino – that’s a great reason to join! There are plenty of reasons to like Spin Palace Mobile. The games are varied, and they look great. The software is quick to set up and easy to use. The mobile casino bonuses are very generous, and are sure to help a lot. And then there’s the fact that you can play anywhere – on the train, in a waiting room, at the beach – it just doesn’t get better then that!